Trying to sum up those 6 days spent in Tadoba is a daunting task and I feel very nostalgic as I try to express my emotions. It is impossible for me to pen down my journey to Tadoba-Andhari Tiger Reserve, as there were many wonderful, happy and breathtaking moments which I experienced. From the stay in tents to the morning and evening safaris, this trip taught me patience, gave me an exposure to be in the wild at such a young age, experience new thrill and understand the animal behavior. I captured some rare and amazing shots in the jungle. I almost fell in love with nature and animals in the jungle during the trip and started appreciating the beauty of Mother Earth and slowly gained interest in Wildlife Photography. From attending a 3-day session on Basics of Photography before the trip to almost a month’s exhibition at India Habitat Centre, I feel highly obliged that I was selected for this trip on a random basis and was given such a rare opportunity. This also encouraged me to take part in iSpace – an Exhibition in my school where a student can display his/her talent to the wider range of people and later got a certificate for “Excellence in Photography”. We were reminded repeatedly that we would be entering the animals’ home and were supposed to respect their privacy and remain absolutely quiet during the safari so that we did not disturb their habitat. We wore sober clothes during the safaris as bright and shiny colours might scare the animals. I experienced all these things myself and I truly believe that safari experience showed me an entirely new world different from the fast paced city life. This trip to Tadoba-Andhari Tiger Reserve was so far the best trip of my life and I will cherish it forever in my life. 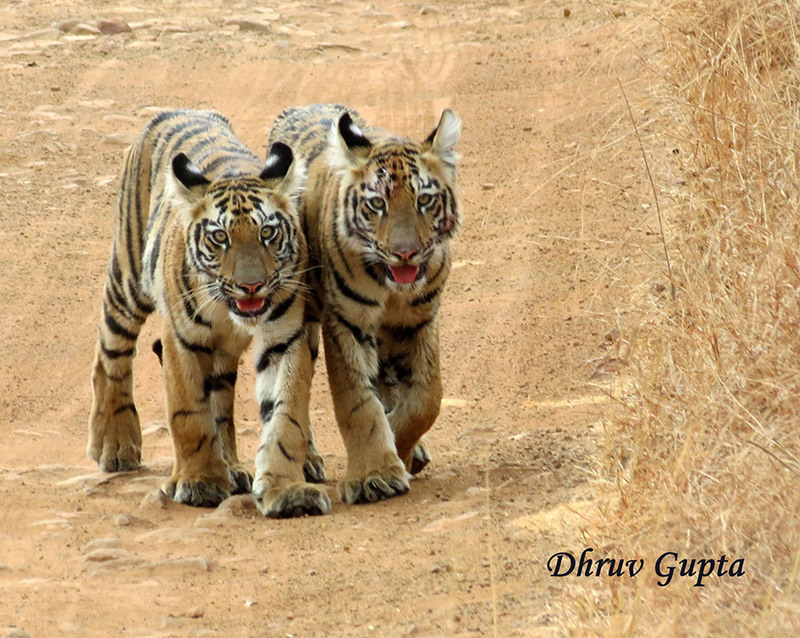 A student who stumbles into another world with a camera in his hand, Dhruv is a nature and wildlife lover. Sincere, Conscientous, Meticulous, Reliable and Responsible are some of the words that describe him best.